Phylicia Barnes and the Black Girl’s Burden. I was home for the holidays when Phylicia Barnes went missing. My immediate family—all women, now four generations deep, with the birth of my daughter—huddled around the small kitchen TV, listening to local news anchors explain the facts surrounding Barnes’ disappearance: black high school honors student from Monroe, NC comes to Baltimore, filled with excitement at the prospect of strengthening her relationship with a half-sister she barely knew and was likely eager to impress. During her visit, the sister, Deena, age 27, allows Barnes to drink alcohol and smoke marijuana—practices her mother expressly forbade at home. Barnes was last seen alive at her half-sister’s apartment; the only other person in the home at the time was the sister’s ex-boyfriend. Perhaps the most chilling thing about this incident is how relatable the circumstances are. Family comes up from down south all the time, hoping for a bright lights-big city experience before heading back to the slow-ambling comforts of home. One half-sibling wanting to establish a bond with another, after only just discovering she had half-siblings in the first place? Also pretty common. An older sister who barely knows her younger one not being as protective as she should? That’s a familiar scene. A mother tentatively encouraging her daughter to connect with her estranged father’s side of the family, in an attempt to be a supportive, inclusive parent? Not uncommon. For it all to end in a disappearance and, as of yesterday, the discovery of Barnes body floating in the Susquehanna River, is all the more devastating, because we can easily put ourselves in the positions of at least one party involved in this tragedy. Reportedly, on the afternoon that she went missing, Barnes had planned a day trip, errand-running and bonding with another sister who lived in the area. She’d gotten dressed and confided her plans to the ex-boyfriend of the sister she was staying with. He was said to have called out of work that day, deciding to stop by the apartment to do his laundry while his ex was at work. Who among you hasn’t stayed with a friend or relative, only to find yourself alone in a room (or the whole house) with an acquaintance of your host, an acquaintance who’s completely unfamiliar to you? It’s one of the most vulnerable feelings in the world. Can you trust this person, on the strength of his relationship with your friend/family? Or should you be as wary as you’d be with any complete stranger? At 16, Barnes likely wouldn’t have had the instinct to distrust this dude on sight; surely, her sister wouldn’t give someone potentially threatening access to her apartment when she wasn’t home, right? And even if she was naturally suspicious, she wouldn’t have known the city well enough to just set out on her own; that would’ve been jumping from the frying pan to the fire. As a viewer, I knew pretty early on that this wasn’t going to end well. 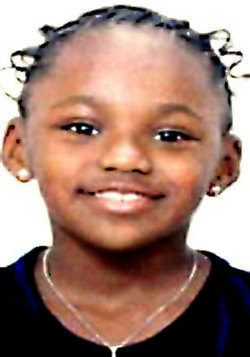 The case immediately reminded me of Marciana Ringo, a Baltimore eight-year-old who went missing nine years ago. (Wow. I just realized how long ago this was. Ironically, if Marciana had lived, she too would’ve turned 17 this year. Phylicia Barnes’ 17th birthday was in January, mere weeks after her disappearance.) Ringo’s soon-to-be-stepfather, Jamal Abeokuto, claimed to have dropped her off at school without incident on the morning that she went missing; eleven days later, her body was found in the woods. Within weeks, Abeokuto was arrested—and eventually convicted—for killing her. In Baltimore, a person is reported missing nearly once a day — police investigated 352 reports last year, and found all but four people. Those who were not found, police believe, were killed in domestic or drug-related disputes. Most victims had something in their past — a bad relationship, a link to nefarious activities or people — to which a motive could be attributed. Even Barnes’ mother, Janice Sallis, who arrived in Baltimore, after calling the Deena to check on Phylicia and finding out that she couldn’t be found, was steeling herself for the worse. I remember watching her on the local news, commenting on how despicable it was for whoever had taken her–she was certain she hadn’t run away or wandered off alone–to take advantage of the young girl. “If she’s alive,” she said, “she’s scared to death.” The “if” was significant; Sallis knew the odds. Still, the Barnes case had its distinctions from other missing persons cases in Baltimore. First, Barnes was an out-of-towner. It’s probable that the Baltimore police felt a particular pressure to solve the case because of this. Because Barnes knew so few people here, it was difficult to find leads and suspects. Aside from the ex-boyfriend, there were no clues. At one point in the investigation, a family member reported that the 16-year-old had texted to say she was leaving the house to find a meal before her sister arrived to take her out, but she didn’t mention whether or not she was alone. If this were the case, then her killer could be anyone she might’ve encountered on the walk. By extension, the killing of a tourist could bring substantial bad press to the area. Initially, the opposite was true: there was very little press on Barnes’ disappearance at all. But as the trail grew colder, Sallis became more visible in her quest for answers, and missing persons billboards went up in search of Phylicia, a campaign began to garner national attention. Chief spokesperson for the Baltimore Police Department declared, “Phylicia Barnes is our Natalee Holloway,” as he expressed bewilderment about the dearth of national coverage. It worked; Sallis’ appearance on the national news circuit. The FBI joined the search. Search efforts redoubled. It’s a common complaint that the disappearance of black women in this country is rarely treated with the same gravitas and public outcry as the disappearance of white women. This belief fueled the coverage campaign for Barnes and, eventually, yielded yesterday’s results. Though initial autopsies were unable to reveal the cause of Barnes’ death, hopes remain high that the recovery of her body will result in the necessary leads to find her killer. For my part, the disparities between these of these incidents of disappearance don’t end at news coverage. The resolution of this case only confirms something I’ve long been taught by my foremothers: black girls are least likely to survive the adolescent experimentation with which every teen finds herself confronted. The wrong car ride, the wrong walk to the corner, the wrong party invitation, the wrong sleepover at the wrong house can get us killed. In addition to hoping for justice, I also want this case to ingrain the following message: vigilantly guard your own safety, even among friends, even among family. There is no guarantee that they’ll do it for you. → Rest in Peace, Phoebe Snow. Perfectly expressed. Thank you for sharing your thoughts on this confounding case. Thank you for reading. This case hit very close to home. I’m still processing it, but I did want to offer some initial sentiments. Hopefully we all have more answers soon. This is awesome Stacia but also very shockingly true and hopefully someone gets this!!!!! Its meant specifically for someone reading! Thanks, Nikia. I think this case was so unsettling to me because I remember how naive I was at 16, how eager to impress and to please or seem agreeable in a new social setting. It sounds like her fam might’ve taken advantage of that. I do hope this situation teaches us all something. Stacia…this was a great post..
What was your source on the part about Phylicia being allowed to smoke and drink, and then being at home alone w/the ex-boyfriend. Certainly makes me look at the ex-boyfriend a lot harder, but I’d never heard those 2 facts before. Thanks again for your empathetic perspective and insight. Ms_Krista: I heard the smoking and drinking report on multiple local news channels when the case first broke, but in the following video, her mother also states it: http://www.youtube.com/watch?v=telmuy7toks. This video begins just after Nancy Grace discusses the ex-boyfriend’s account of events, which seemed to include him doing laundry. I’ve been unable to find anything that details the laundry bit except this Nancy Grace transcript on Facebook: http://www.facebook.com/note.php?note_id=193324727361025. Other accounts say he was there to move his things out of the apartment. Most accounts suggest no one else was in the home at the time. Thanks for sharing your thoughts on this heart wrenching story. Wonderfully written.